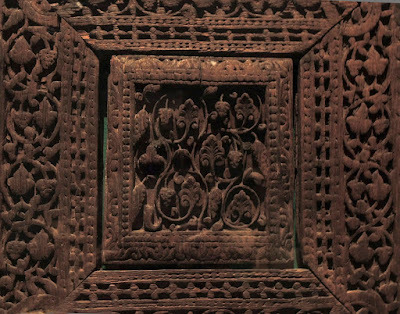 9th cent. ; wood, 70 3/4 x 15 1/2 in. See entire door panel here. 25 9/16 x 5 7/8 x 6 7/8 in. 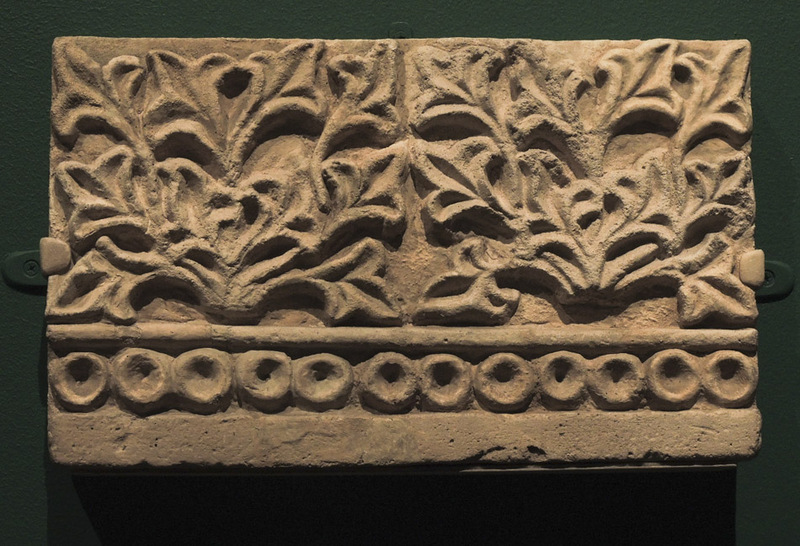 Frieze section with bushy plants, Mesopotamia, ca. 6th cent. ; stucco, 8 3/4 x 14 1/2 in. 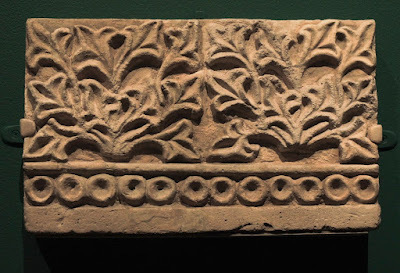 ....when seen alongside this frieze, where the plants have been formed into a more abstract pattern. 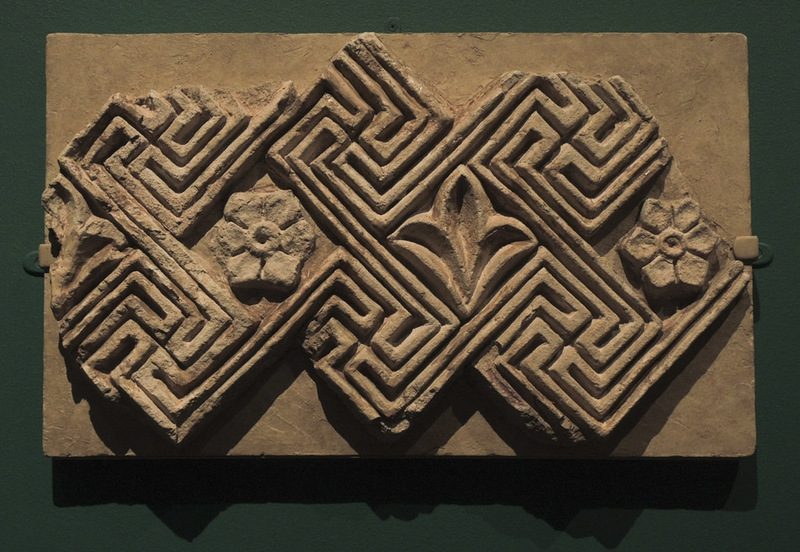 Panel fragment with meander pattern, Mesopotamia, ca. 6th cent. ; stucco, 13 1/2 x 23 1/2 in. 12 3/8 x 8 7/16 x 10 1/4 in. The two works above combine floral elements with geometry. They got me thinking about the human relationship with nature and with geometry. It seems to me that we have an innate sense of geometry, of right angles, being that most of our architecture is based on rectangles. Even though there are cultures whose houses are round, they are not in the majority. Excavations of ancient sites show rectangular rooms. I do wonder why this is; why is it that people didn't take to the geodesic dome as a dwelling structure? why are we more comfortable in right-angled rooms? 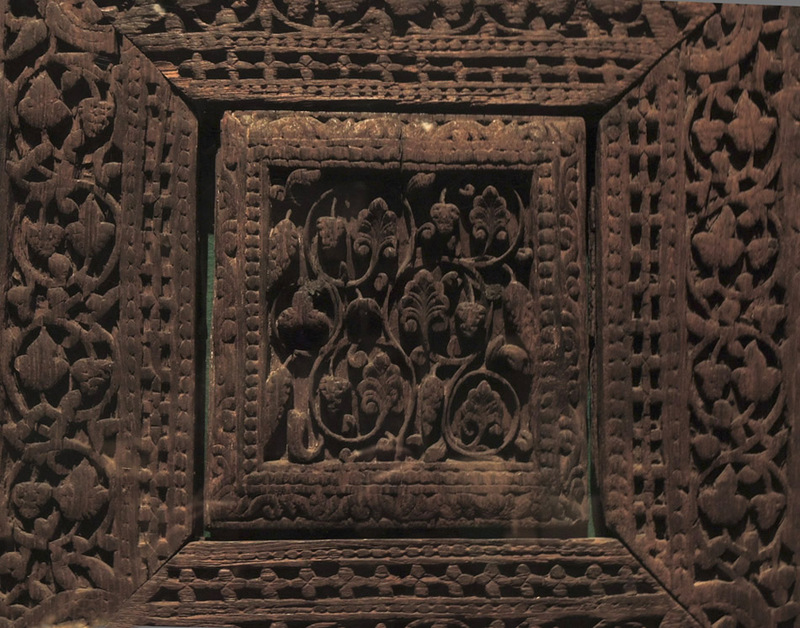 Window with palmettes, Mesopotamia, ca 6th cent. ; stucco, 24 1/2 in. 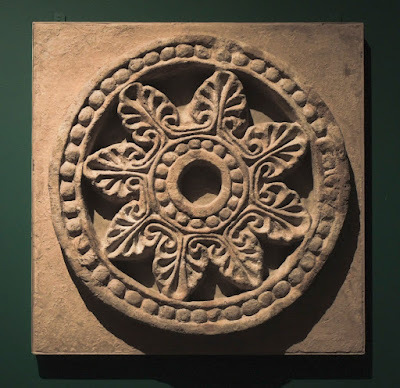 Repeated small circles at the center and outer edge are connected by the spokes of eight leafy shapes. 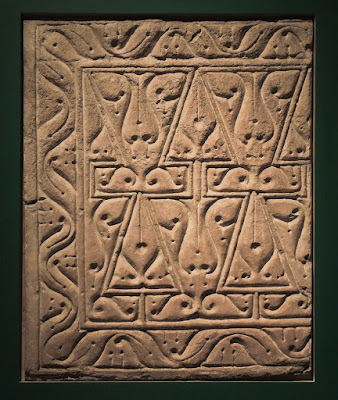 Panel with beveled carving, Egypt, last quarter of 10th cent. ; wood, 18 1/2 x 27 x 3 in. 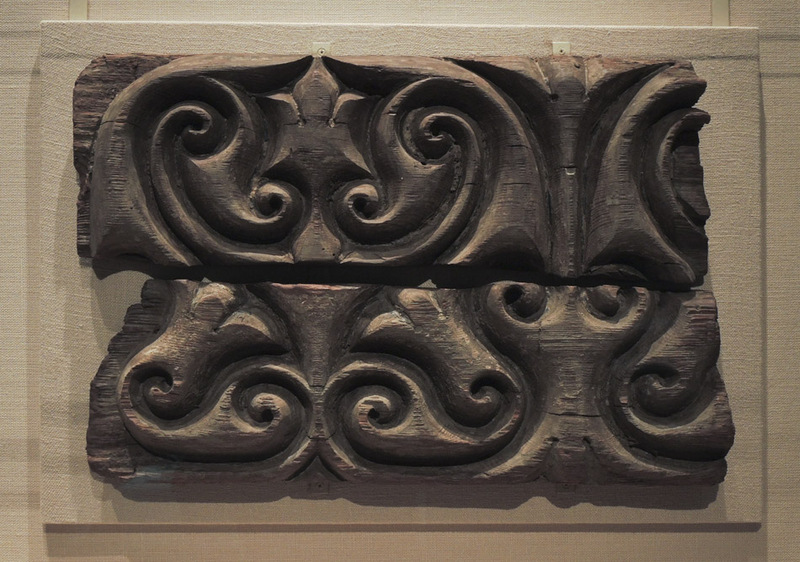 The depth of this carving emphasizes the luxurious curves of the near-symmetrical patterns. 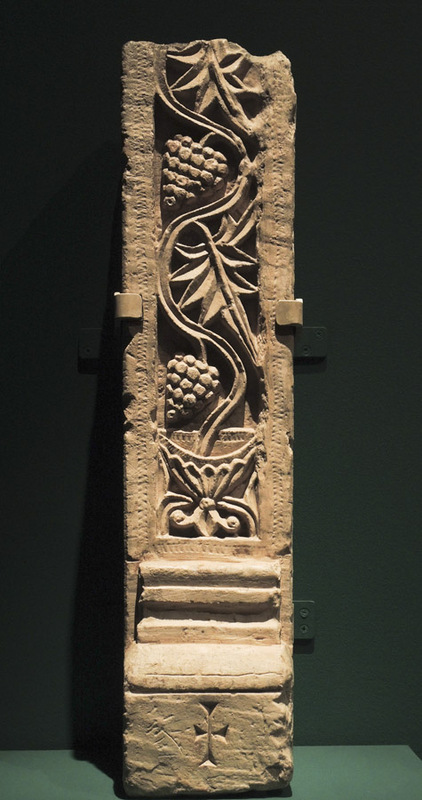 Cast of ninth century wall panel with beveled vegetal ornament, Iraq, 20th cent. ; 42 x 33 in. 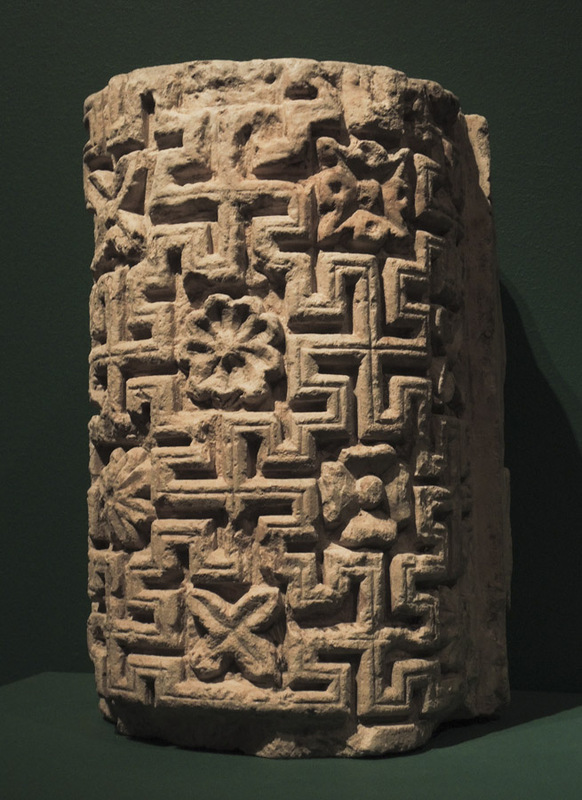 Lastly, here a cast made of ornament that was found in place during excavations in Samarra in 1911-13. It has a wonderful combination of geometry enclosing vegetal forms. 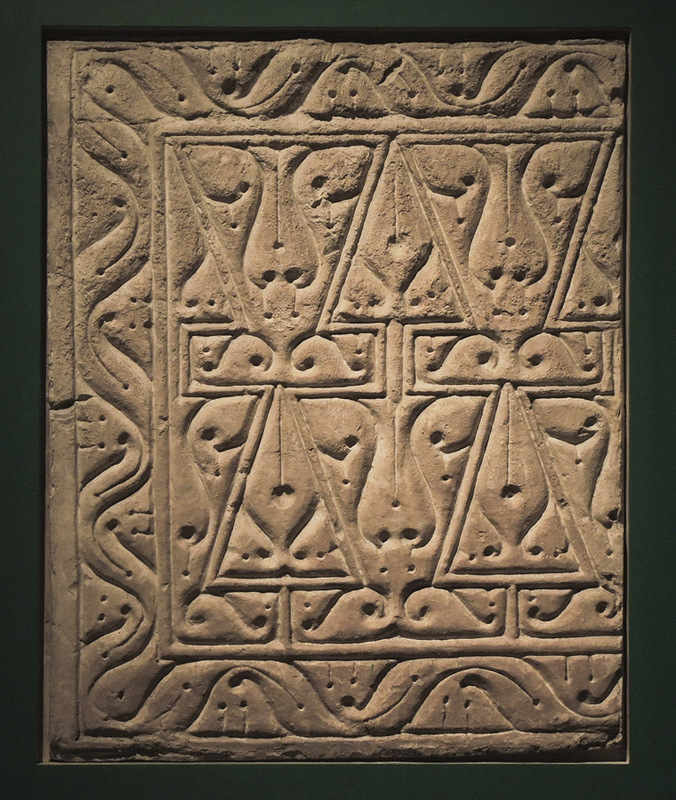 Triangles, pointing up and down, are resting on rectangles, and all have curving patterns within them. All of these pieces are a reminder that pattern is endlessly variable and very engaging. 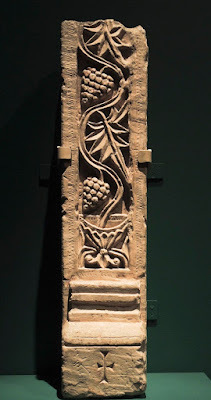 When we visited Mycaene with the Lion Gate and dated 1500BC there were so many curves, on the pottery, in the burial I who have resisted labeling art as male of female, I began to wonder if the organic forms, of Crete and Mycenae had some connection to women creating the aesthetic in those cultures. I love this blog entry. Want to add an image, will on Facebook post. Thanks for this interesting comment, Marjorie. I don't think women were the artisans of these cultures, but I'm not really sure. Beautiful things...and great question about our common affinity for rectilinearity. I wonder if there is a noticeable continuum in the art of the area, concerning elimination of graven-images, right down to flowers and leaves, in favor of non-representational geometric patterns. These appear to be transitional. 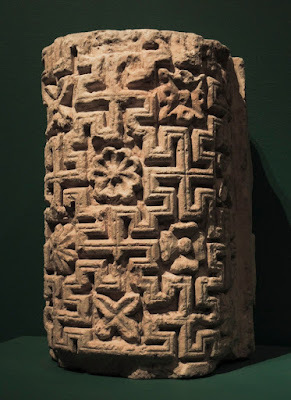 I'm not sure, JBS, but the Met's website, at the link I provide, says this: "While the Near East witnessed significant social and political changes during the period from 500 to 1000, including the rise of Islam and the collapse of the Sasanian Empire, the objects on display attest to the persistence of certain artistic ideas across religious and political boundaries. " Thanks for that. It bears further study, for me. I can attest to one human-proportion aspect of making things which may have a profound impact on our affinity for things rectilinear: the human hand-eye system is capable of halving things with exquisite accuracy; I can saw a 90°-cut and a 45°-cut very accurately without measuring or marking...by using the reflection of the wood in the saw. Somehow most people just know when a line is "square". Our very bodies describe right-angles with the earth.